The concept of product innovation and data collection has reached a new peak. For instance, who would have thought that an hairbrush could provide feedback on the quality of a user hair? Kérastase, in partnership with Withings revealed the Kérastase Hair Coach Powered by Withings. The airbrush was developed in collaboration with L’Oréal’s Research and Innovation Technology Incubator, and features Withings’ advanced sensors. 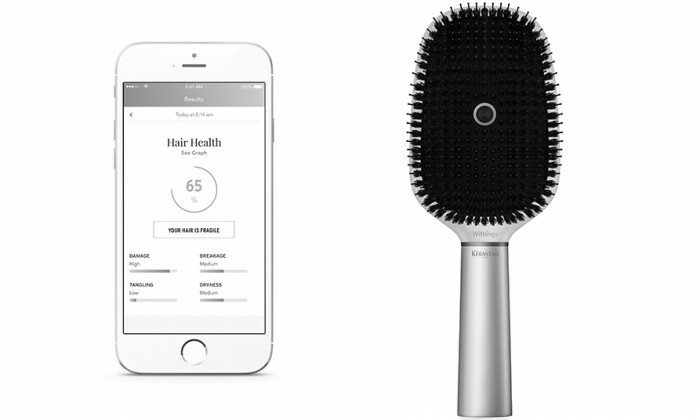 With strokes, the brush is able to analyse algorithms to score the quality of a consumers hair and monitor the effects of different hair care routines. An accompanying mobile app provides additional insights and customised product recommendations to help people better care for their hair. With the help of conductivity sensors, data is fed automatically via Wi-Fi or bluetooth to a dedicated mobile app, which then takes into account weather factors like humidity, temperature, UV and wind, which also impact hair’s manageability and quality. “Technology is transforming consumers’ daily beauty routines, and smart devices have huge potential to impact how we care for our hair and skin,” said Guive Balooch, global vice president of L’Oréal’s Research and Innovation Technology Incubator. Do you know how much you are worth to Facebook? ..
Publicitas regional advertising director Irene Lee joins ADARA to head up its new Hong Kong office. ..
WATCH Are cheating spouses MediaCorp’s latest marketing move? The new unit, titled Sweet, aims to strengthen its alliance with agencies and clients to meet with increasing demand among clients..